Waiting for the Hero HX250R Launch? You're in for a Rude Shock! Waiting for the Hero HX250R Launch? You’re in for a Rude Shock! 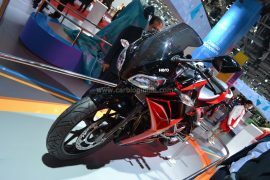 The Hero HX250R impressed the show goers at the Auto Expo 2014. 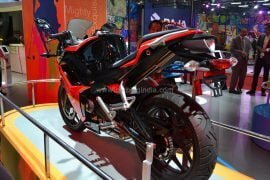 While it did seem like Hero MotoCorp, the country’s highest selling bike maker, has a promising contender for the Indian sportsbike segment, the HX 250R is yet to officially launch in the market. Until now, speculations were rife that the quarter-litre fully-faired motorcycle would launch at the fast-approaching Auto Expo 2018. 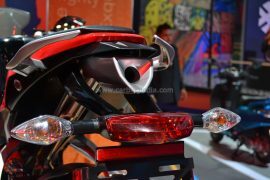 This motorcycle was expected to launch alongside the equally awaited Hero Xtreme 200S. 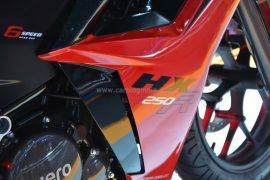 However, it has now come to light that the Hero HX250R launch won’t happen anytime soon. To put it simply, the HX250R will never see the light of the day and the project has been shelved at the concept stage. Back in 2016, after this bike’s second showcase at the Expo, it was being said that the motorcycle would launch to rival the likes of Honda CBR250, KTM RC200, Kawasaki Z250 and Mahindra Mojo 300. Now, however, it seems like the country’s best-selling bike manufacturer will stay away from the performance bike segment for some more time. The Hero HX250R was designed and engineered in a collaboration with US-based technology collaborator Erik Buell Racing AVL and Engines Engineering. 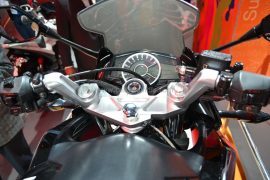 “We at Hero MotoCorp don’t support just showcasing concepts but bringing products into mass production. It takes time to come up with something completely new, you can just predict a little bit. Within the next two years, we will come up with a lot of new models. You can expect news on the scooters, you can expect news on the commuters between 110cc and 150cc and even beyond. So, I think we will keep you guys from the media quite busy for, let’s say, next 12-18 months”, he added. Tell us, were you waiting for the Hero HX250R launch to take place? Are you upset about the company’s decision to drop this project? Share your views with us by penning them down in the comments section below. Also, stay tuned to Carblogindia for the latest news on cars and motorcycles relevant to India.